So this is interesting; Microsoft announced recently that it’s scrapping its push for entertainment on Xbox, instead choosing to focus on the console’s core market of gamers. This seems smart, and appears to be turning the console’s sales figures around (that along with a hefty price cut). At the same time, Sony has announced more pushes into the entertainment space, buoyed as it is by the extremely strong sales of the PS4, which culminated this morning with the unveiling of Playstation Vue – Sony’s replacement for your cable box. Wading through the vague marketing speak Sony have used to herald the announcement, Playstation Vue essentially allows viewers to watch both linear and on-demand content through the PS4 or PS3, with around 75 channels expected per market. Local content will be mixed with networks like Fox, NBCUniversal, Discovery and Viacom (no Disney or Time Warner though), and interestingly, Sony promises that the previous three days most popular programming will be able to re-watch. Any show that you want to keep for longer can be recorded and stored in the cloud for up to 28 days. While concrete details like service pricing or launch date (Q1 2015) are scarce, this does appear to be the most focussed effort either Microsoft or Sony have taken in replacing the traditional cable box. The Xbox’s ability for pass through was nice, but that was never likely to completely replace your cable box or subscription. With Sony’s Playstation Vue service, you could replace your set top box (STB), channel package, on-demand extras, and Tivo all at once – and you may have the hardware in your house already. It’s certainly not a sure fire success. 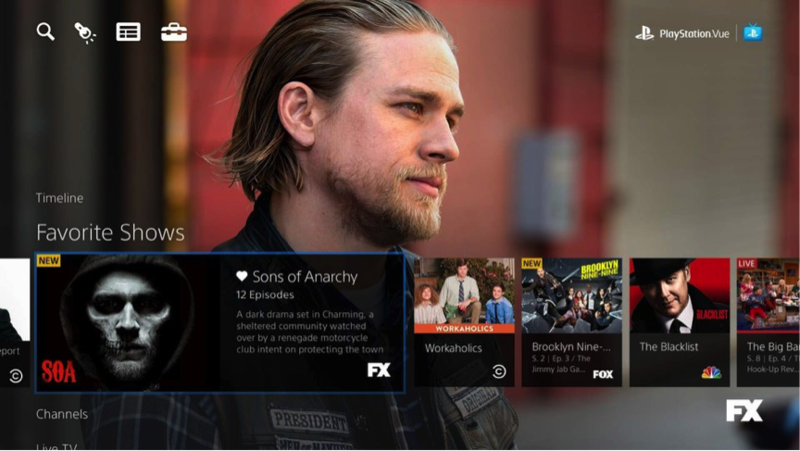 Microsoft’s struggles have proved that cracking the TV market open is no easy feat. But Sony has a strong line-up of content providers. Pair this with its consoles that are already being used to watch Netflix, Amazon Prime Video, Hulu, and already in millions of homes in every major market (around 100 million PS3’s and PS4’s have been sold to date). Then combine this ubiquity and quality of content coverage with the fact that Sony are promising to match and in some cases better every major feature in the standard cable box as of 2014 and you have a very attractive proposition on your hands: people without a cable subscription have a way to get many of the network only channels, and people with a subscription potentially have a way to reduce their monthly entertainment expenditure, whilst also making more space in their entertainment unit. Miles Weaver is Piksel’s Innovation Programme Strategist overseeing the strategy of Piksel’s Innovation Programme. He closely monitors trends in living room technology and user behavior and is an avid commentator on the digital TV revolution. Connect with him on Twitter with @mrmilesweaver or @piksel.